In early 2017, Brown Box Theatre Project commissioned Patrick Gabridge to write a play that explores the psychological and physical vocabulary of stage magic. 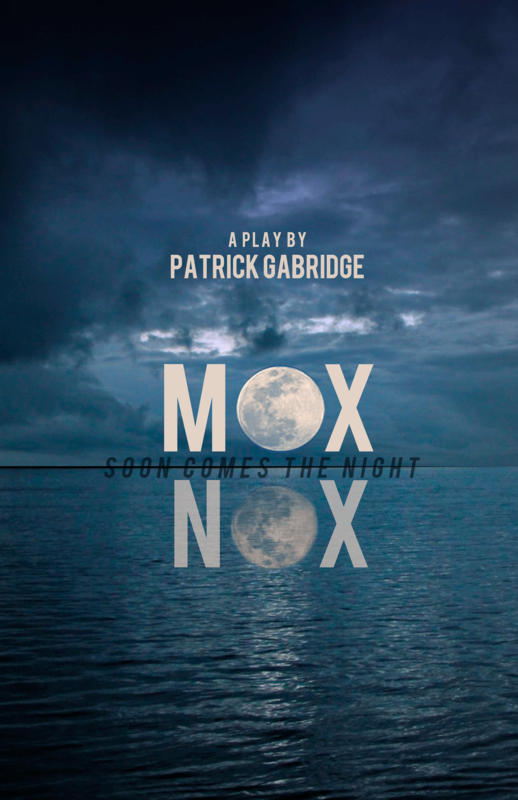 This Fall, we will workshop Mox Nox or Soon Comes the Night, exploring a world with rapidly ascending waters and two sisters struggling to reunite at their family home. As old memories and secrets arise, sickness and resentments fester as the sisters and their significant others fight for a little piece of higher ground. The workshop of Mox Nox will take place Fall 2017 with additional readings and edits completed throughout 2018 in preparation for a full production in the coming year. 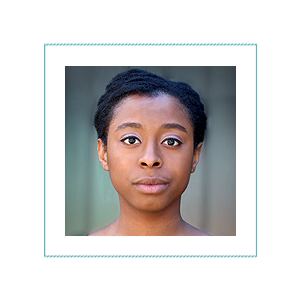 Gigi Watson is thrilled to be collaborating with Brown Box once more after three summer Shakespeare tours of Massachusetts and Delmarva with Hamlet, The Taming of the Shrew, and Macbeth. Other recent Boston credits include Finish Line (Boston Theater Company), Billy Elliot (Wheelock Family Theatre), The Gypsy Machine (Theatre on Fire), The T Party (Company One), Rent, Jesus Christ Superstar (Fiddlehead Theatre Company), Meet Me in St. Louis (Stoneham Theatre), Coriolanus (Commonwealth Shakespeare Company), and Café Variations (ArtsEmerson/SITI Company). Upcoming the season: The Curious Incident of the Dog in the Nighttime (Speakeasy Stage) and Brawler (Boston Playwrights Theatre/Kitchen Theatre Company). BFA Musical Theatre, Emerson College. Cam Torres (Pike) is thrilled to be back with Brown Box Theatre Project! He was seen last year as Belarius in Brown Box Theatre Project’s touring production of Cymbeline. Regional credits include Cape Rep Theater (Jerusalem), Bay Colony Shakespeare Company (Winter’s Tale/Midsummer Nights Dream), Salem Theater Company (Angels in America), and Epic Theater in the premier run of James Franco and Me, as James Franco. He would like to thank his family and Ashley for constant love and never ending support. Susannah Wilson (Amanda) This is Susannah’s first project with Brown Box. 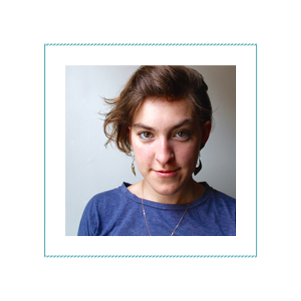 She is a graduate of Emerson College, and has continued to work in the Boston area. Local credits include: Betty in Both/And: A Quantum Physics Play (also written by Pat Gabridge), as part of the Catalyst Collaborative project with MIT; Hermia in A Midsummer Night’s Dream, and Laertes in Hamlet (Boston Theatre Co). ; Richard in Richard III (Emerson Stage); Once a Blue Moon and Shahrazad (Double Edge Theatre). Sloth Levine (Stage Manager) also serves as Social Media Manager for Brown Box Theatre Project. They recently assistant directed Men On Boats at SpeakEasy Stage, and will be serving as assistant director on Nomad Americana at Fresh Ink and Wig Out! at Company One/Oberon. Sloth recently graduated from Emerson College with a BA in Theatre Studies: Directing & Playwriting. Patrick Gabridge (Playwright): Patrick Gabridge most recently worked with Brown Box on his play Lab Rats. His other plays include Blinders, Drift, Distant Neighbors, Blood on the Snow, and Reading the Mind of God, and dozens of short plays which have been staged in theatres around the world. He co-founded Boston’s Rhombus playwright’s group, the publication Market InSight… for Playwrights, and the on-line Playwrights’ Submission Binge. His plays are published by Playscripts, Brooklyn Publishers, Heuer, Smith & Kraus, Original Works Publishers, and YouthPlays. He’s been a fellow with New Rep and with the Huntington Theatre Company and is the co-founder and coordinator of the New England New Play Alliance. His novels are Steering to Freedom, Moving [a life in boxes], and Tornado Siren. In his spare time, he likes to farm and fix up old houses.